Lech, a little mountain village full of character and Zürs, the small and refined village invite you to spend unforgettable winter holidays. 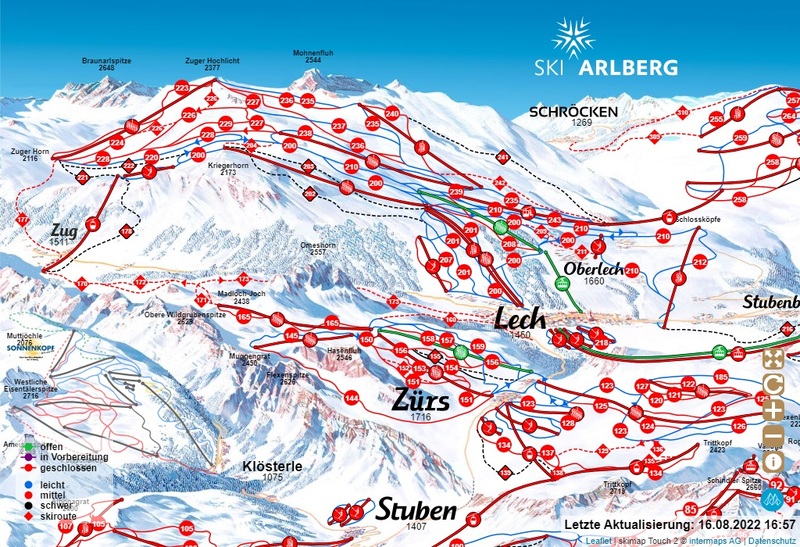 The ski area offers about 340 km slopes and 94 modern lift facilities. Amongst skiiing you will also find other possibilties such as cross-country skiing, tobogganing, ice skating or explore the beautiful snow shoe trails.